''old mill valley'' between Munich and Nuremberg. Is this Sarlo-JodyR on his Indian Bike trip from Pune to Nepal? 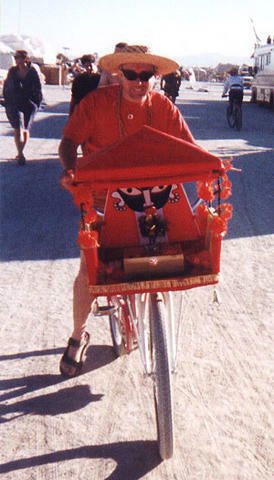 In front of his bike an Altar. Does this document Sarlo's ''devotion'' for ''religious'' items - nowadays demonstrated in his notorious ranking show, called Guru-Rat?